ITIL defines a service as a means of delivering value to a customer by facilitating outcomes that customers want to achieve without the ownership of specific costs and risks. The value of a service is therefore dependent on how useful it is to a customer. Value can be expressed as the level to which a service will meet the customers expectations and is measured by how much the customer is willing to pay rather than the specific cost of the service. The customers perception of the value is affected by a number of factors and by understanding their importance, service providers can understand the customers view. 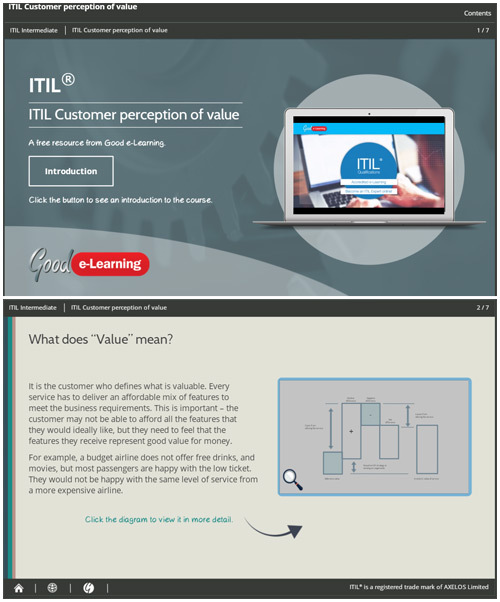 Download this ITIL interactive guide and you’ll also get instant access to over 500+ business & IT learning resources!